I'm trying to install a smart thermostat. I have a Honeywell programmable thermostat now. However, I found that there's a wall plate in back of the back plate, and it's secured to the wall (not by screws) and I don't know how to remove it. I tried to search on Google and YouTube, but I didn't find anyone who has the same problem. I'm guessing this is a non-typical setup? Any idea about how to remove this wall plate? The back plate was meant to be held on by screws into the plastic anchors visible on one of the photos. 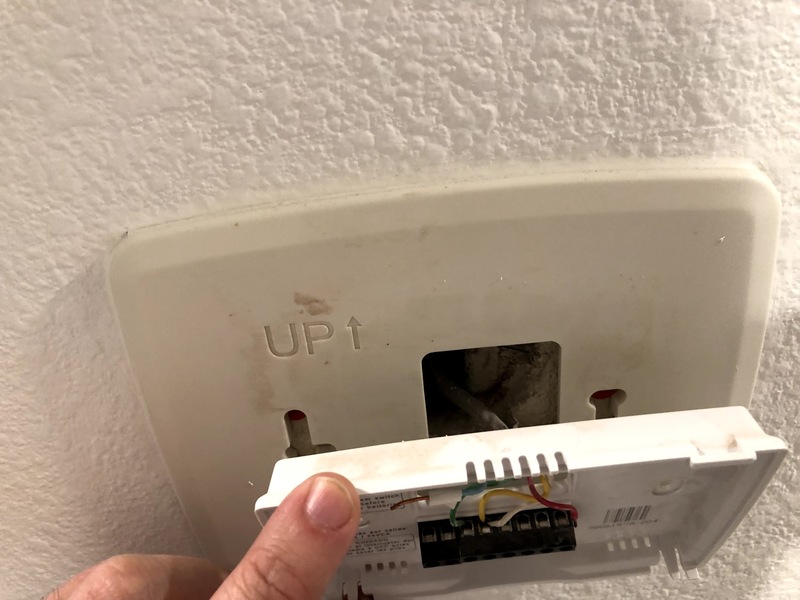 If the screws are out and the plate is still attached to the wall, it is likely that paint or compound are holding it on. Try scoring around the edges with a utility knife, then slipping a putty/taping knife behind the plate and prying it off. There may be some minor cosmetic damage to the drywall or paint. 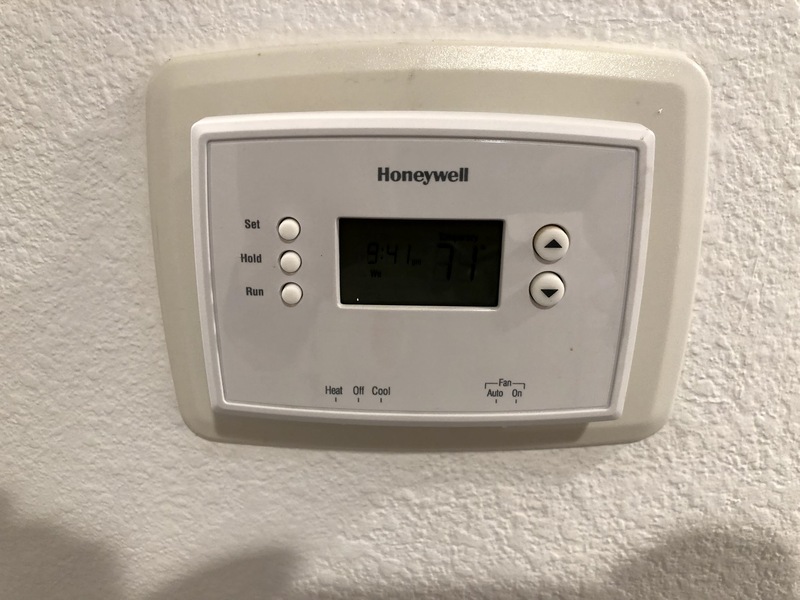 Honeywell home ventilation system with no c wire for thermostat. How can I substitute the g for the c without blowing a fuse? 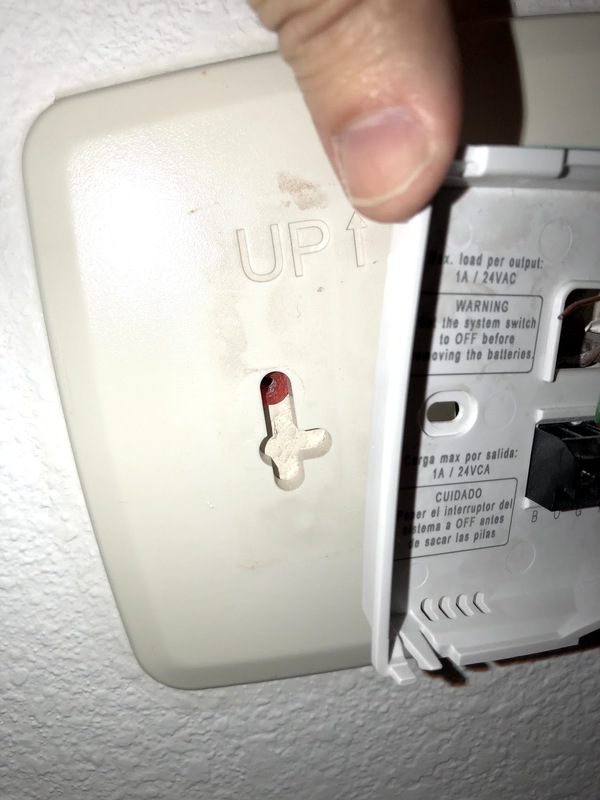 what is this unused brown wire in my thermostat wiring?